Environment • Rep. Chaffetz urged to open investigation into potential conflicts. Trent Nelson | The Salt Lake Tribune Protestors at a rally organized by the Utah League of Native American Voters to protest the Dakota Access Pipeline, at the City and County Building in Salt Lake City, Thursday January 26, 2017. Trent Nelson | The Salt Lake Tribune Protestors at a rally organized by the Utah League of Native American Voters to protest the Dakota Access Pipeline, at the City and County Building in Salt Lake City, Thursday January 26, 2017. Trent Nelson | The Salt Lake Tribune Protestors at a rally organized by the Utah League of Native American Voters to protest the Dakota Access Pipeline, at the City and County Building in Salt Lake City, Thursday January 26, 2017. 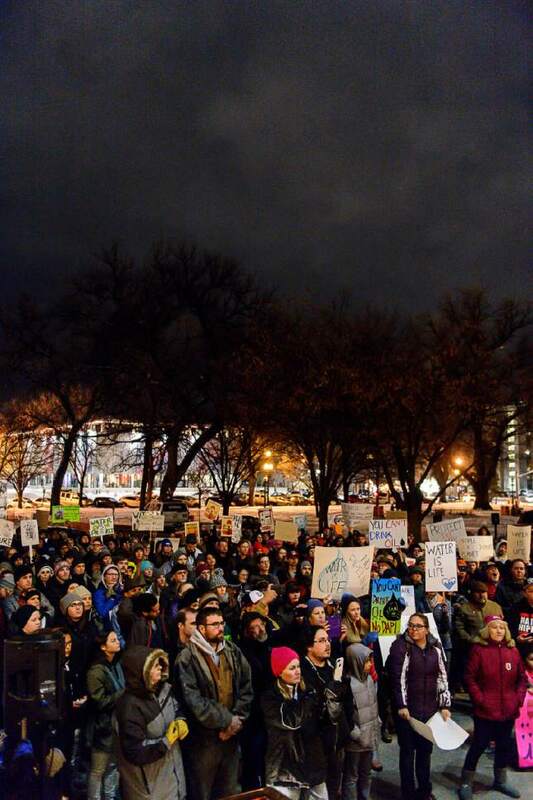 Trent Nelson | The Salt Lake Tribune Protestors at a rally organized by the Utah League of Native American Voters to protest the Dakota Access Pipeline gather at the City and County Building in Salt Lake City on Thursday. Trent Nelson | The Salt Lake Tribune Protestors at a rally organized by the Utah League of Native American Voters to protest the Dakota Access Pipeline, at the City and County Building in Salt Lake City, Thursday January 26, 2017. Trent Nelson | The Salt Lake Tribune Protestors at a rally organized by the Utah League of Native American Voters to protest the Dakota Access Pipeline, at the City and County Building in Salt Lake City, Thursday January 26, 2017. 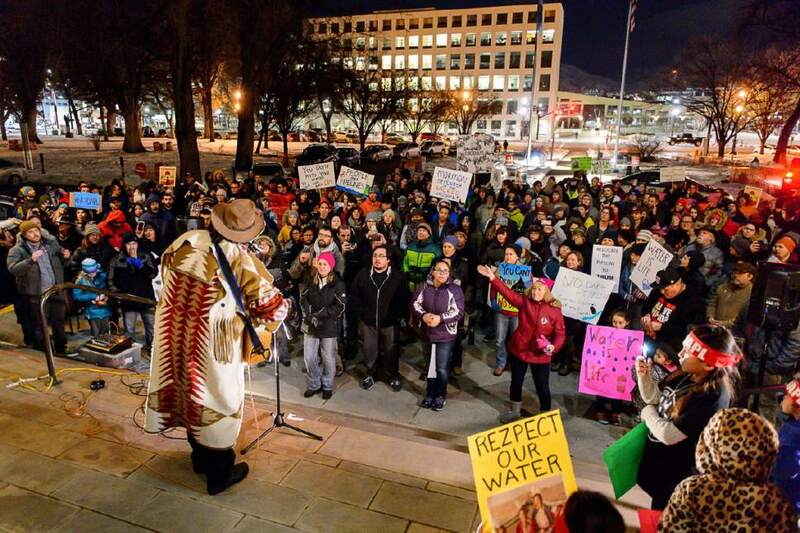 Local activists rallied at the Salt Lake City Hall on Thursday night to protest the Dakota Access Pipeline, saying it&apos;s about "more than just clean water now." Moroni Benally, a co-founder of the Utah League of Native American Voters, denounced President Donald Trump&apos;s dealings with the oil pipeline and asked tribes and other communities to stand together to resist the Trump administration. 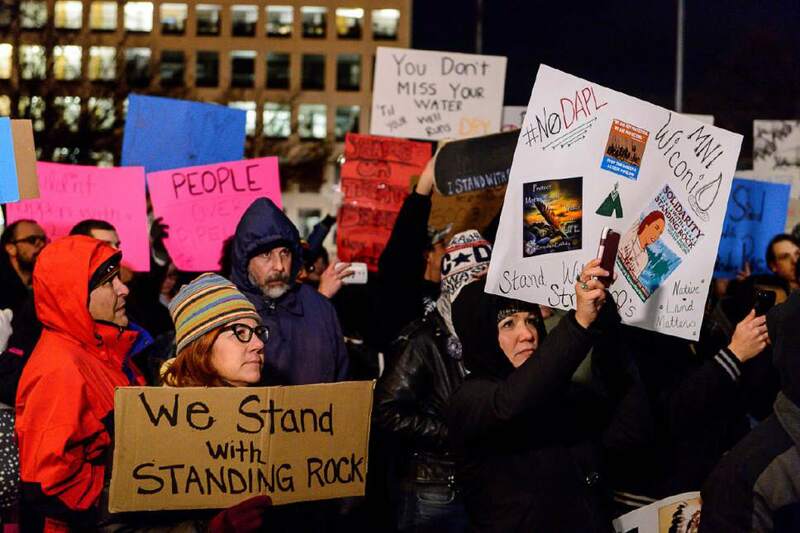 "Standing Rock," Benally said, "represents an entire resistance against a Trump administration that seeks to undo the liberties of so many people, including all those here in Utah. We will not allow our future to be dismantled by the stroke of a pen." The Standing Rock Sioux tribe drinks from Lake Oahe, a Missouri River reservoir under which the pipeline would run. The tribe is concerned about a spill poisoning its water. Activists at Thursday&apos;s rally called for Rep. Jason Chaffetz, chairman of the House Oversight Committee, to launch an investigation into potential conflicts of interests from Trump&apos;s 2016 federal disclosure that showed he owned between $15,000 and $50,000 of stock in Energy Transfer Partners, the Texas-based company building the pipeline. 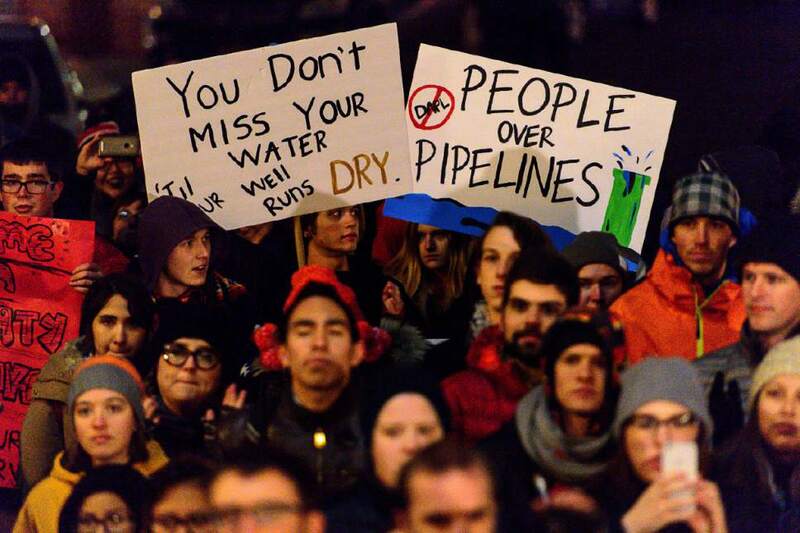 Trump signed an executive order Tuesday to advance construction of the Dakota Access and Keystone XL pipelines. The Army Corps of Engineers, then part of President Barack Obama&apos;s administration, announced Dec. 4 that the final permits required for the project would be denied and that the Army would conduct an environmental impact review of the project, which would determine alternative routes for the $3.8 billion Dakota Access Pipeline. Trump&apos;s edict orders the Army to reconsider the decision. Trump&apos;s nominee for Army secretary  West Point graduate and billionaire businessman Vincent Viola  has not been confirmed. The Army is accepting public comment on "potential issues, concerns and reasonable alternatives" until Feb. 20. Benally urged protesters to submit their comments. DJ Poetik, a Navajo man who works at the local radio station U92, says he lived on a reservation for three years, watching his people and their livestock drink natural well water  well water he worries would be tainted if an oil pipeline ran below it. "It&apos;s going to wipe us out. They&apos;ll wipe us out," he said. "All I gotta say, man, is water is life." 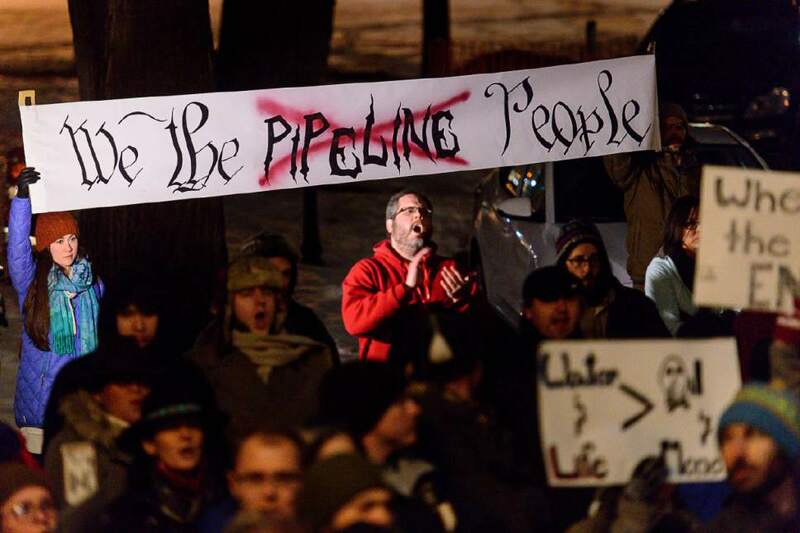 Benally told protesters to close their accounts at any of the 17 banks financially connected to the pipeline before leading the protesters in a march, which comprised at least one state official. Sen Jim Dabakis, D-Salt Lake City, doubts the Legislature will pass a resolution to urge Chaffetz, R-Utah, to open an investigation, told The Salt Lake Tribune during the rally that "it&apos;s a sad day for our country." Activist James Singer said demonstrators need to enact "long-term strategies" by running for office. "In 2018," he said, "there should be native people running in every contest." Dabakis echoed the lack of native representatives in leadership positions in Utah. "There&apos;s 50,000 Native Americans in Utah, and we have never ever had a Native American senator or representative or statewide officeholder," he said. "We forget that this really was all their land, and we pushed and we shoved and we mistreated and we put on reservations and we marginalized. It&apos;s time we recognized the great honor and the great courage of our Native American people in Utah," said Dabakis. The rally, though, provided a victory in Benally&apos;s eyes. "Our very presence here tonight will be opposition to the White House," he said. "It will have an effect."